Genesis is sad to hear the news of Tom Petty's untimely passing yesterday, October 2nd, after a cardiac arrest, aged 66. 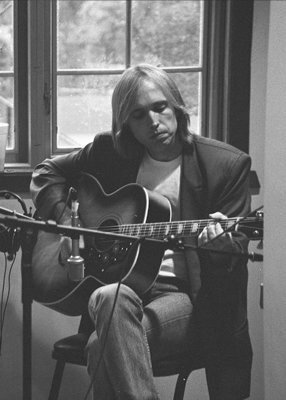 Musician, singer, songwriter, multi instrumentalist and record producer, Petty was best known as the lead singer of Tom Petty and the Heartbreakers, whose hit singles included 'Into The Great Wide Open' and 'Learning to Fly'. His worldwide sales topped 80 million records and he was inducted into the Rock and Roll Hall of Fame in 2002. He and the Heartbreakers had just completed a 40th anniversary tour, which included a headline performance at British Summer Time in Hyde Park in July. Petty was also a member and co-founder of the 1980s supergroup the Traveling Wilburys with George Harrison, Bob Dylan, Roy Orbison and Jeff Lynne. They released two records Traveling Wilburys Vol. 1 in 1988 and, after Orbison's death, Traveling Wilburys Vo. 3 in 1990. Jeff Lynne later explained their second album's title choice, saying "That was George's idea. He said, 'Let's confuse the buggers.'" Genesis is honoured that Petty contributed to several Genesis editions, including The Traveling Wilburys, Concert for George and Mr Fantasy. Our thoughts are with his family, band mates and friends.